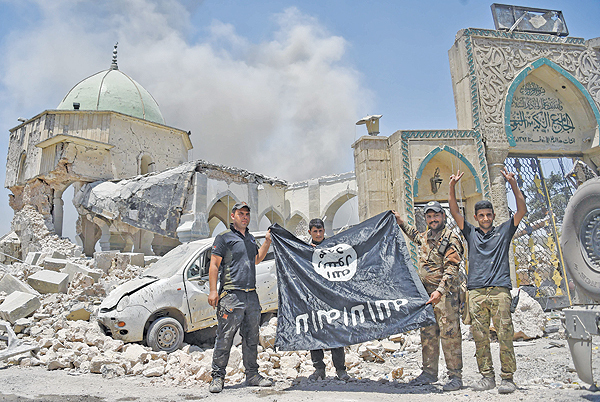 Driven from lands it once held sway over in Syria and Iraq, the Islamic State group has returned to its origins as an underground jihadist outfit because the conditions that spawned it-a deep discontent among most Iraqis and Syrians-have persisted, experts say. “The West is on the road to winning all the battles and losing the war,” warned Zimmerman. In a report last month on the resurgence of IS as a clandestine guerrilla group, the Center for Strategic and International Studies (CSIS) said that “while the United States and allied governments have weakened some groups like the Islamic State, many of the underlying causes have not been adequately addressed.” Those root causes include a “fragile state with weak or ineffective governing institutions” in areas affected by jihadist activity, where the Islamists can establish a sanctuary, the CSIS experts said. They took maps showing areas where Al-Qaeda and IS were active and compared them to maps displaying “government effectiveness,” based on World Bank statistics. The result was clear: most of the countries where the insurgents are active-Yemen, Syria, Iraq, Afghanistan, Libya, Mali, Nigeria, Somalia-are also in the bottom 10 percent for government effectiveness.